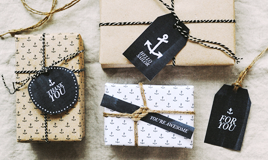 There's so many cute ideas out there, we've decided to put together another little round-up of Valentine's projects. 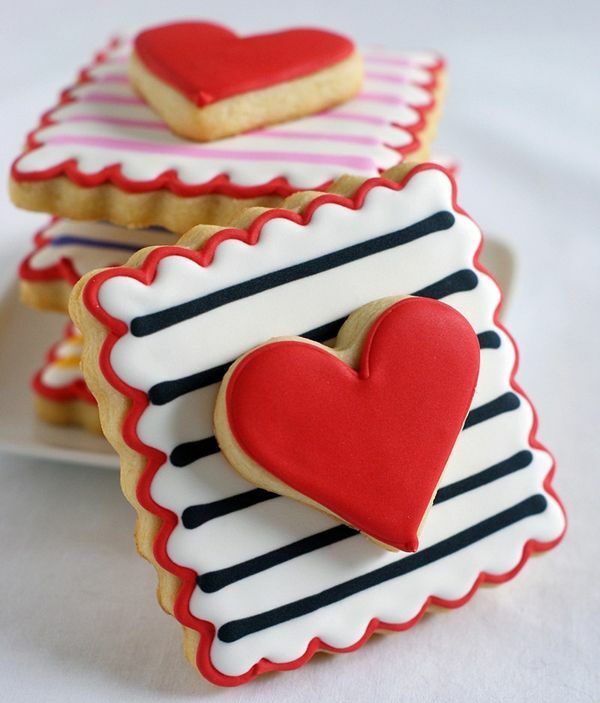 Bake some double decker, striped Valentine's cookies for friends and loved ones. Instructions on Bake at 350. 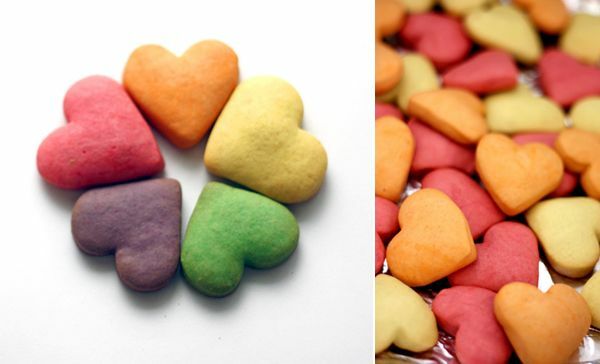 Simpler and quicker, but equally cute: colored short bread hearts by Diamonds for Dessert. 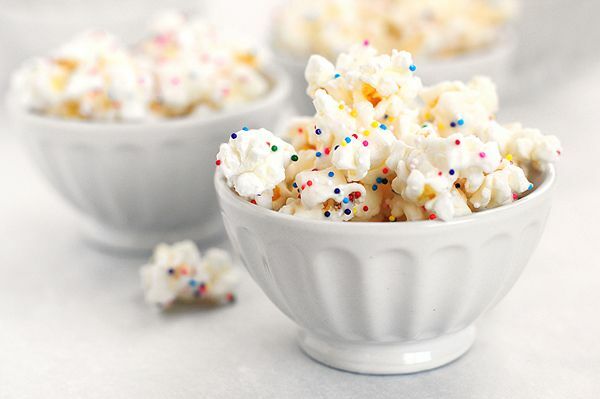 White chocolate-covered sprinkle popcorn by She Wears Many Hats. Lovely for any party, but with red & pink sprinkles perfect for a Valentine's day movie date at home! 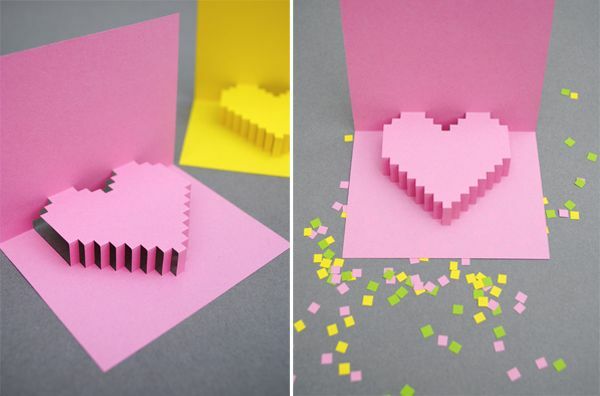 Send your sweet greetings along with these awesome DIY pixel heart pop up cards by Mini-Eco. Write your cards with these cupid arrow pencils by Blow Up! for Martha Stewart. 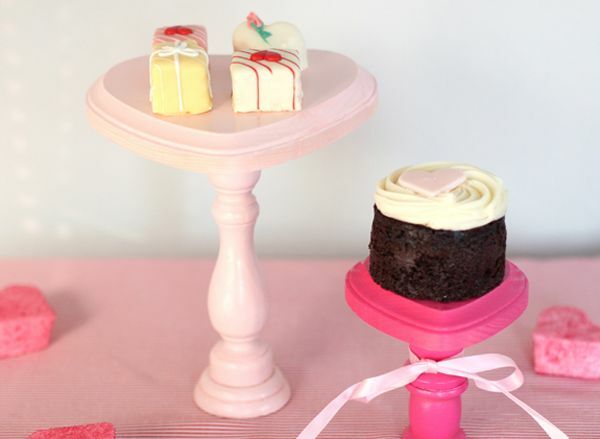 Love this collection of Valentine goodies!